The panels, from Alta Devices in Sunnyvale, are produced on thin plastic sheets that can be stuck on the top frame of drones like the Bramor ppX, developed by Slovenia's C-Astral Aerospace. On Tuesday, the two companies showed off a version of the drone with six solar panels affixed to its top. The basic drone can stay aloft for 3.5 hours, but the addition of the solar panels has extended this by two hours, they said. 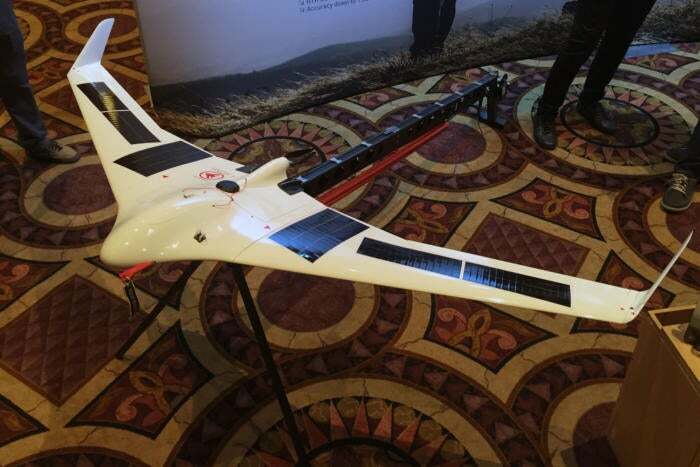 A C-Astral Aerospace Bramor ppX LRS drone with solar panels from Alta Devices, on show in Las Vegas on Nov. 1, 2016. The two plan to offer a solar version of the drone commercially. When it comes to solar panels, efficiency is king. There's no point having small or thin panels if you need thousands of them to be useful. In Alta's case, the company claims an industry leading efficiency of 31.6 percent. 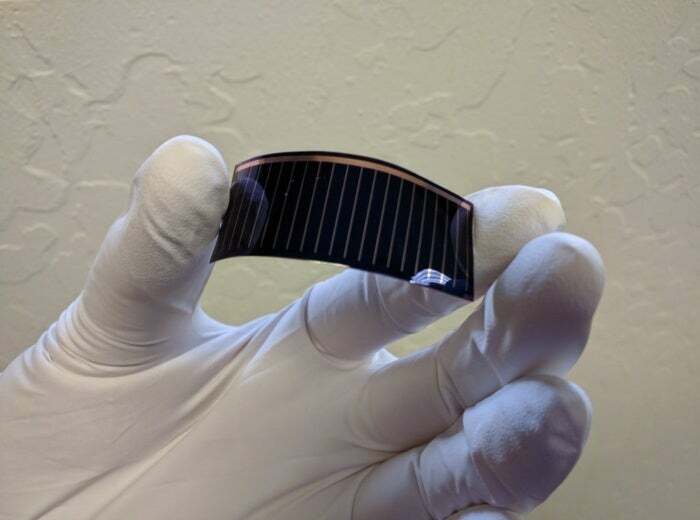 That means drone makers can get away with less than half the surface area of panels at one quarter the weight versus competing thin-film solar panels, Alta said.